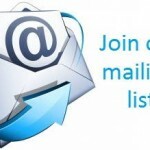 This user group has been established for well over a decade and the form of communication has primarily been via the mailing list. You are more than welcome to join the mailing list to participate in conversations as well as ask questions of the group who are established all over the country at this point. As of March 2018 we also have a twitter account. It is preferred that active meeting participants join our meetup group. Registering for upcoming events is necessary as seating is currently limited and if we need to accommodate a larger crowd we need to be aware of this ahead of time. Thank you Steve Young for your efforts these past several years as organizer! OPUG is starting up in April after the 2017 close. The new organizer is enthusiastic and hopeful to bring the group back to life. This will all be dependent on community participation and support. Naomi See started her career change into tech in her last 20s and spent a great many years getting up to speed with education and general repeated practice of concepts. Primarily being educated in Java and web development she found herself joining a research and development team specializing in automation and data visualization using the python web framework Django. Naomi’s been a part of the local tech community for several years now and has become a Python evangelist especially to those who are wanting to shift careers or level up in their current careers. Naomi will share more about her journey and her community passion at the next meetup in April. The hope is to draw beginners as well as established Python developers to the meetings. Working on small and potentially larger projects ranging from all aspects of the Python ecosystem. Be sure to follow OPUG on Twitter and register for the upcoming event in April. Please also take the time to read our Code of Conduct found here. Wes Turner did a great presentation demonstrating “HTML parsing, JSON-LD, RDFa, and schema.org in order to add Schema.org RDFa markup to @TheGlobalGoals for Sustainable Development at http://www.globalgoals.org/“. Lightning Talks, discussion, and topic selection for this seasons meetings. Jeff Milewski will be giving a talk, “introduction to machine learning and algorithmic trading using Quantopian.” He’ll briefly explain some machine learning techniques and libraries and how they can be used to set up a trading strategy using Quantopian.com.